Central Texas hotel mogul Umesh Patel is eyeing a new development in Lockhart. A proposal was set before the Lockhart City Council on Tuesday wherein Patel has proposed to buy just over seven acres in the Lockhart Industrial Park. Patel submitted a letter of intent, which was forwarded to the Council by City Manager Vance Rodgers, to purchase the property for its appraised fair market value of $138,500 within 120 days, provided the property is rezoned to Commercial Heavy Business. If the purchase is completed, it will leave 15 acres available in the Lockhart Industrial Park for city or other developments. In a related item, the Council voted to begin setting aside any and all sales of property in Lockhart Industrial Park II to the Lockhart Economic Development Reserve Fund to be used for economic development purposes. A few of these intended improvements include electrical extensions on the Southside of MLK, and additional electrical work on FM 1322 (Commerce Street). In other news, the recent Race to Lockhart Economic Development Summit procured $2,166.76 in unused funds from the registration fees. Development partners decided on a $10 registration fee to ensure commitment from attendees as well as to calculate the amount of food and bus space was needed. Also contributing to the additional funds was other frugal budgeting and in-kind donations, and it was stated that they received a tremendous response of 12 different types of media coverage. Lockhart’s Economic Development Department has asked that these funds be set aside to promote the City of Lockhart. The City of Lockhart welcomes the support of the Volunteer Income Tax Assistance Program (VITA), who will be using the Library facilities to assist in outreaching to citizens about the tax preparation services that they offer to low-income citizens/taxpayers free of charge. They will using space at the library Mondays, Tuesdays evenings and Saturday, to do taxes, and would like to recruit volunteers, who they will offer ethics training and security clearance. The company DDM, LLC of Brenham will be awarded a bid of $27,785.12 for the erection and construction of a 40×60 metal building at EMS Station #2 behind Municipal Court. The building will be used to house backup fire trucks and for storage, and can be added on in the future for sleeping and meeting quarters. The construction has been planned for a long time, and a $25,000 grant from the LCRA will be used alongside other line item savings, like keeping the existing asphalt foundation, to cover the costs. The Council commended Lockhart Fire Chief Jerry Doyle for seeking the grant, because the facility will be necessary with the upcoming opening of SH 130. The Texas Department of Agriculture has been asked to revise the scope of the project for the grant addressing the QroMex Construction of the sewer main discussed at the Sept. 4, 2012, council meeting. The project engineer determined that a 12-inch pipe along Blanco, Locust and Church Street was necessary instead of an eight inch as originally proposed in the grant application. The grant process requires a public hearing for the contract amendment, which was approved by Council. That hearing was held Sept. 17, 2012. The City will apply for a Texas Community Development Block Grant of $275,000 for water system improvements, though the locations of which have not yet been determined. The portion of the local match of $80,000 needed during the Fiscal Year 2012-13 period has been budgeted. On April 3, 2012, the Council amended the zoning ordinance to provide appearance standards for development in the industrial zoning districts based on similar provisions in other cities. A few changes to the ordinance have been made for clarification and consistency. After a discussion in executive session, Council has denied Rodney Wade Gott’s request for extension of paid leave for a work related injury. A small correction was made to the September 4, 2012 minutes reflecting that Mayor Lew White was not present at that meeting. 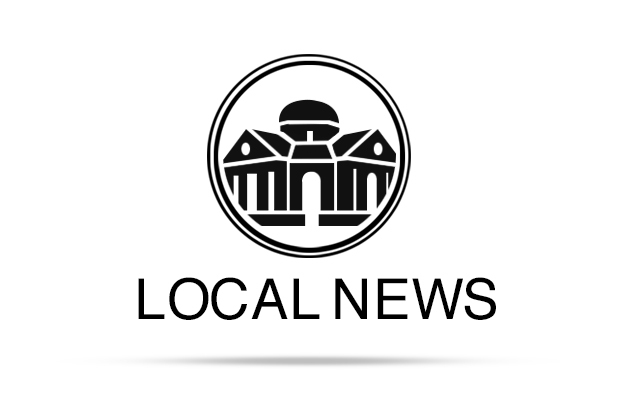 The Lockhart City Council meets on the first and third Tuesday of each month at 7:30 p.m. in the Glosserman Conference Room in the basement of Lockhart City Hall. The meetings are open to the public and are televised on Time Warner Digital Cable Channel 10.